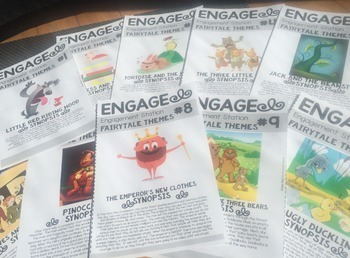 Do you need a FUN and ENGAGING way for your students to review and practice THEME? 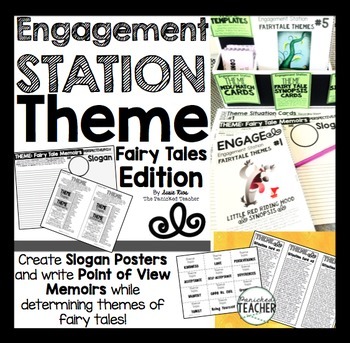 This engagement station allows small groups to practice reviewing different themes and theme statements, looking and analyzing different situations and the themes that they represent, reading 10 different Fairy Tail Synopsis Cards and determining the theme, and finally writing a daily memoir journal from one of the characters from the fairy tale. 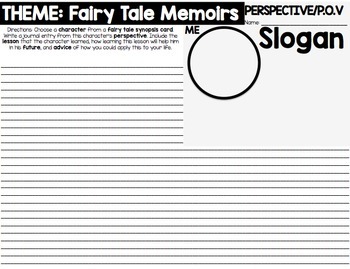 An additional DOK 3/4 activity allows students to write their own skit/situation that has an implied theme in which they try to get their classmates to determine. 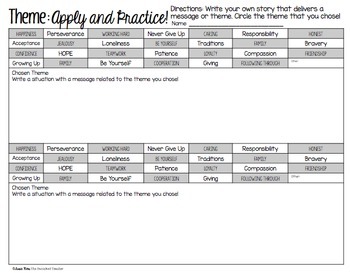 GREAT for TEST PREP and END of the YEAR activities!